I has to post these pictures immediately. Another incredible milestone for our princess heart warrior. 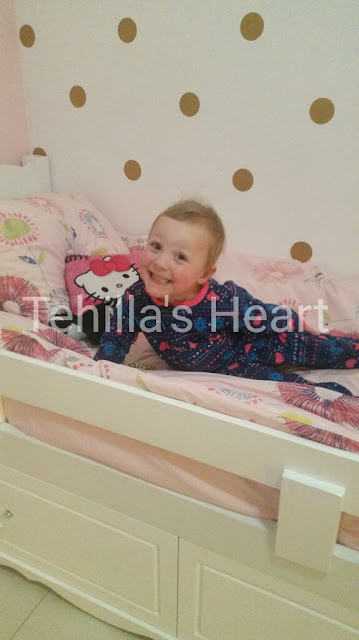 During the recovery of Tehilla's Fontan surgery, Tehilla would describe how she wanted her room to be decorated. As you can already guess, she asked for pink and sparkly. 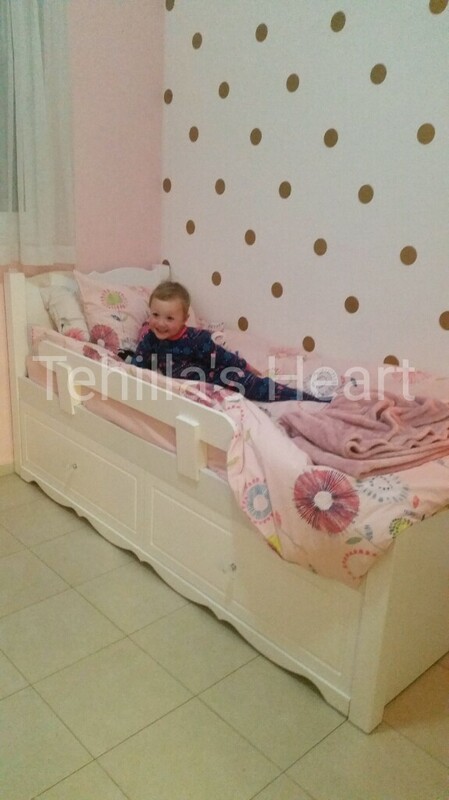 We have been slowly working on her pink room with one gold polka dotted wall. There are still minor touches to finish- but the biggest change was finally delivered tonight: her big girl bed. She couldn't fall asleep in anticipation of the bed's arrival. Here she is completely in love with her new bed. We are so blessed to be at this point. Thank G-d. I am thrilled to see her doing so well. B"H!!! it's the best mattress for kids. There are certainly some other user-oriented excellent benefits that have made the unit second best seller after the queen.